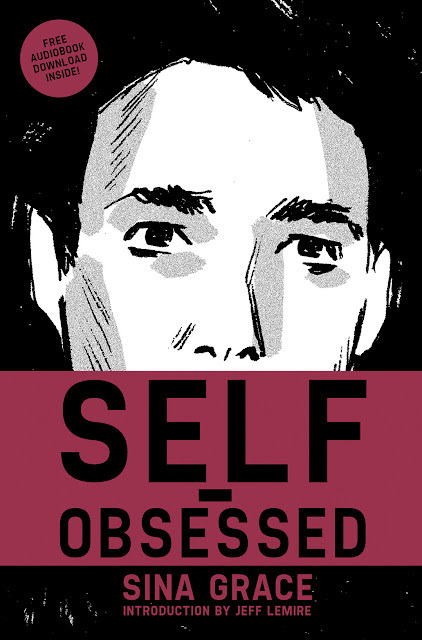 Cartoonist Sina Grace will debut a web series based on his 2015 Image Comics graphic novel SELF-OBSESSED on Tuesday, March 22, 2016. Directed by friend and longtime collaborator on the hit comic series BURN THE ORPHANAGE, Daniel Freedman (Undying Love), SELF-OBSESSED is a comedic look at the life of a gay LA-based cartoonist who struggles to find his creative mojo amidst a break-up, a book cancellation, and an overall crisis of faith in his own work. Grace stars in the series alongside Amber Benson (Buffy the Vampire Slayer), Adam Busch (Colony, Empire) and Jon Gabrus (MTV’s Guy Code, TVLand’s Younger). Self-Obsessed is a comedic look at the life of a gay LA-based cartoonist who struggles to find his creative mojo amidst a break-up, a book cancellation, and an overall crisis of faith in his own work. Based off the Image Comics graphic novel of the same name! Sina Grace is the author and illustrator of the autobiographical Self-Obsessed and Not My Bag, which recounts a story of retail hell. He acts as the artist for Shaun Steven Struble's cult hit, The Li'l Depressed Boy, and handles art chores along with co-writing the Image Comics hit series, Burn the Orphanage. Grace has also done illustrations for all-ages readers, including Among the Ghosts, written by Amber Benson, and Penny Dora & the Wishing Box, written by Michael Stock. His previous works include the slice-of-life Books with Pictures, and the neo-noir urban fantasy Cedric Hollows in Dial M for Magic. For a time, he acted as Editorial Director for Robert Kirkman's Skybound imprint at Image Comics. To date, he's worked for Marvel Comics, IDW, Boom, Dynamite, Valiant and more. His essays have appeared on several websites, most notably Thought Catalog.